50 Cent has developed a reputation as somewhat of a villain, though his undeniable charisma prevents him from devolving into "heel" status. Yet every so often, 50 Cent breaks character to reveal his gentler nature. Today, the G-Unit rapper took to Instagram to offer his sincere condolences to Nipsey Hussle's friends and family. 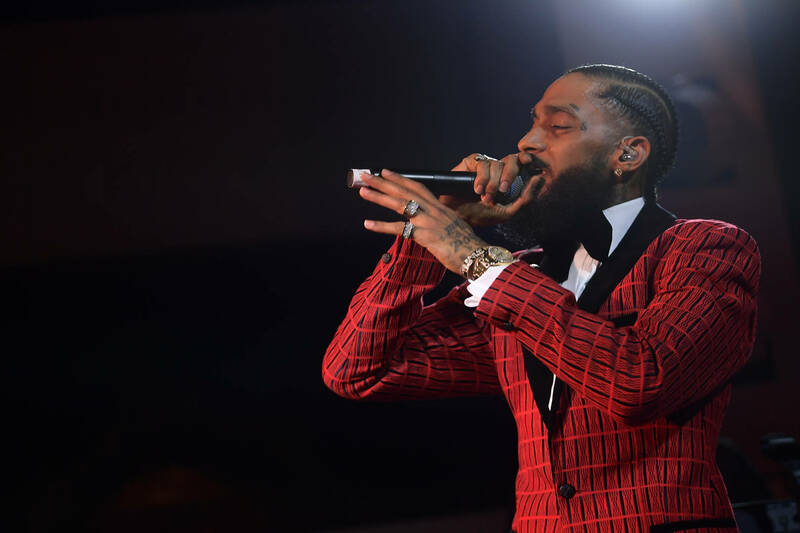 "To: Nipsey’s Real friends and family I send my Sincere condolences," he writes, alongside a picture of himself. "I’m sorry for your loss God bless." For whatever reason, Fif decided to stay slightly on-brand, including a shameless plug for his "Chemin Du Roi" champagne. While the advertisement does feel a tad insensitive, the fact that 50 spoke out at all highlights the impact of Nipsey's death. For those who don't remember, 50 and Nip actually shared a collaboration, the YG quarterbacked "I Wanna Benz." Both business-minded individuals, it's likely they might have enjoyed a conversation or two if given the opportunity. Rest in peace, Nipsey Hussle. His loss continues to be felt by the entire hip-hop community, and 50 Cent is but one of many to issue their condolences.